July 11, 2018 (Pittsburgh) – The Union Trust Building has been honored with a 2018 American Architecture Award for building restoration from the Chicago Athenaeum Museum of Architecture and Design, the nation’s highest public award given by a non-commercial, non-trade affiliated, public arts, culture and educational institution. Of the 100 shortlisted buildings, only 3 of the Awards were given for the preservation of historically significant American buildings, including the Union Trust Building, St. Patrick’s Cathedral in New York City and Unity Temple in Oak Park, IL. 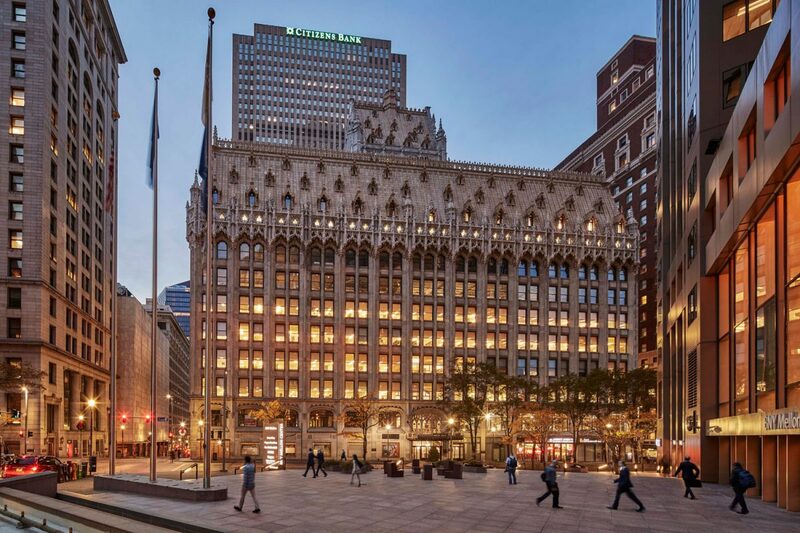 Originally designed by Frederick John Osterling (1915-1916), the award for The Union Trust Building was presented to Elkus Manfredi Architects for their detailed, innovative design in restoring and re-envisioning the 100+ year-old structure. The building was originally commissioned by the industrialist Henry Frick and is now owned by an investment fund affiliated with The Davis Companies of Boston, which acquired the property in 2014 and assembled the team to re-envision and restore the property in 2015-2016. Constructed in 1915 by industrialist Henry Clay Frick, the Union Trust Building’s Flemish-Gothic design makes it one of the most prominent pieces of Pittsburgh’s architectural heritage. The Davis Companies purchased the building in March 2014 and invested $100 million to rejuvenate its historic charm and beautiful features with 21st century amenities. Located in Mellon Square, the building now offers energy efficient Class-A, office, 40,000 square feet of retail and restaurant space, including six diverse dining offerings; a 5,000-square-foot state-of-the-art fitness center; a newly renovated 70-seat conference facility and 400-seat auditorium; a 190-space underground parking garage with valet service and onsite bicycle storage. 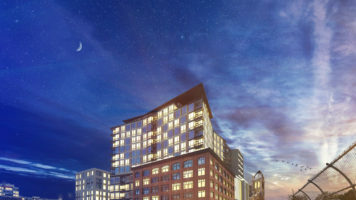 Elkus Manfredi Architects is a multidisciplinary design firm providing architecture, master planning, interior architecture, and workplace engagement. 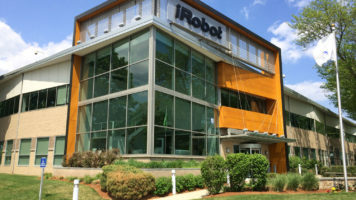 Founded in 1988, it continues to be a privately owned, global design firm headquartered in Boston and is recognized for design excellence for corporate, hospitality, science and technology, higher education, residential, and retail-entertainment.